Chunky knits and ribbed sweaters are a big trend for fall, so it's best to start stocking up now. Also who doesn't love wearing cozy knits when the temperatures drop? I think this is a number one must have for every girl all season long. I've always loved bucket bags, but I'm really loving them right now for fall. They're super easy to wear and look cute with just about anything. 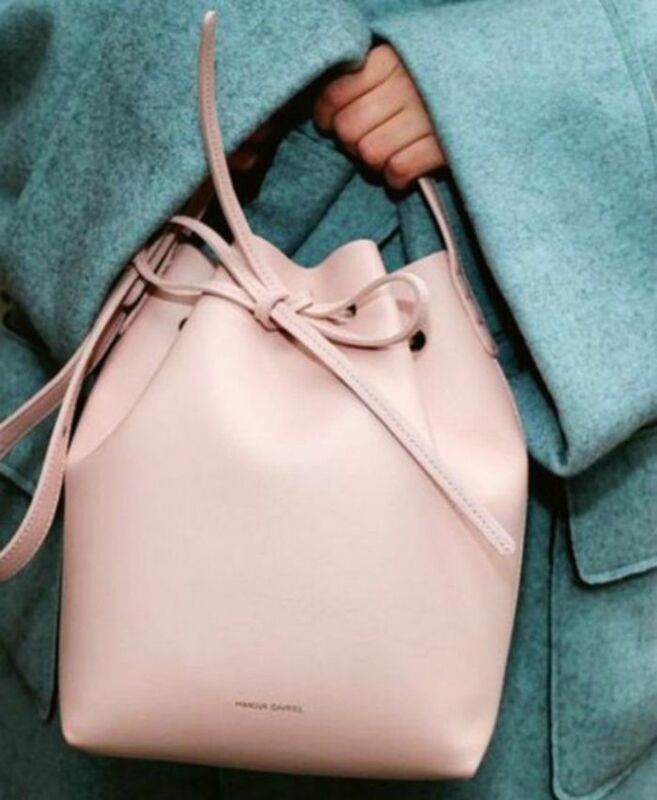 Bonus: Below I found some less expensive versions of this Mansur Gavriel bag I love. The 70s are making a major comeback right now so it's no surprise flare jeans are a major trend. I'm especially loving them paired with pretty neutrals, like a tan cardigan. Check out Pinterest for lots of inspiration on how to style your flares. I've mentioned quite a few times on here before my love of suede booties so this one is kind of a given essential. I'm still looking for a pair to buy, but I am obsessed with the Steve Madden ones in the picture above! I love their shape and color, and think they are all around perfection. Plaid was huge on the runways for Fall 2015 and a plaid shirt is a great way to incorporate it into your wardrobe. Looking for a very on trend outfit? Try pairing your plaid shirt with a pair of flared jeans and a bucket bag - it's a chic, easy, and very stylish look. Boots are always huge for fall and this season is no exception. I usually go with leather riding boots (and have some of my favorite picks below! ), but this year I am really loving suede boots like the ones above. Boots always look great and will help to keep you warm when the temperatures start to drop, so I recommend keeping a few pairs in rotation. Blanket scarves are my favorite way to be cute while keeping warm. Scarves are such a great accessory because they're an inexpensive way to change up your look, you can own so many different ones and keep changing them all season long. I currently own everyone's favorite plaid blanket scarf, but plan to add to my collection soon! Faux fur jackets have been a favorite of mine for quite some time and they were huge on the runways for fall and winter. I think the best part about this trend, other than the fact that it looks super cute, is it is sure to shield you from the dropping temperatures. I wear my faux fur jacket with everything all season long and always get a million compliments on it. I love, love, love patterned tights for the colder months! They look cute and keep you warm at the same time, what's better than that?! My favorite way to wear patterned tights is with a simple black dress so they can be the standout of piece of my look. I am all about dark colors for fall and especially love wearing them on my lips and nails. I think there's something so chic about a vampy pout and short dark nails. These are simple touches to finish off any fall look and up the style factor. 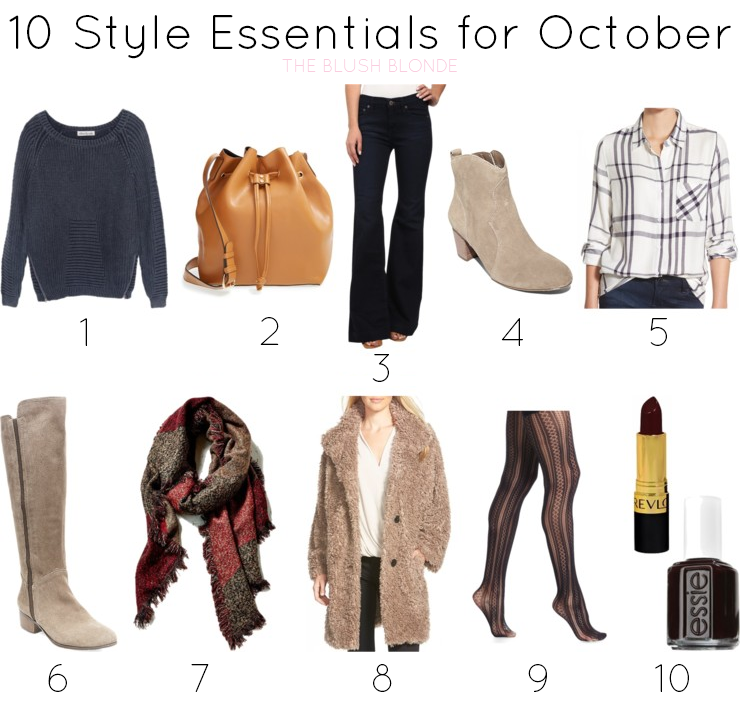 What are you October style essentials? Welcome to Tutu Tuesdays a new linkup with The Blush Blonde and The Fairy Princess Diaries! Link-up whatever you'd like and make sure to do a little mingling - our goal here is to create a community of bloggers where we can all connect, find new blogs, and support one another. 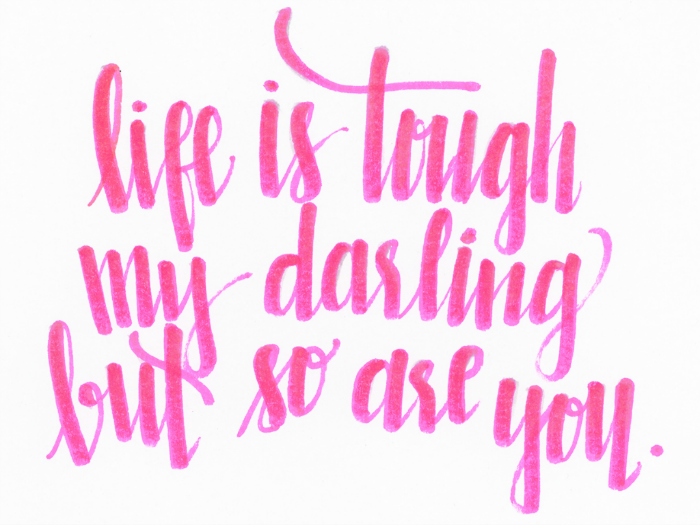 We love new friends, supporting other blogs, and meeting fellow girl bosses! Honey actually makes me really sick if I ingest it, but I always have at least one bottle of it around. You may be wondering why I keep something around that I can't eat, however the bottle I have lives in my bathroom, not my kitchen. Why keep honey in your bathroom you may be asking yourself, well because honey is one of the best natural beauty products around. If you've been here before and read some of my beauty posts then you know I have a big thing for natural beauty and it shouldn't come as a surprise then that I'm obsessed with this all natural multipurpose beauty gem. 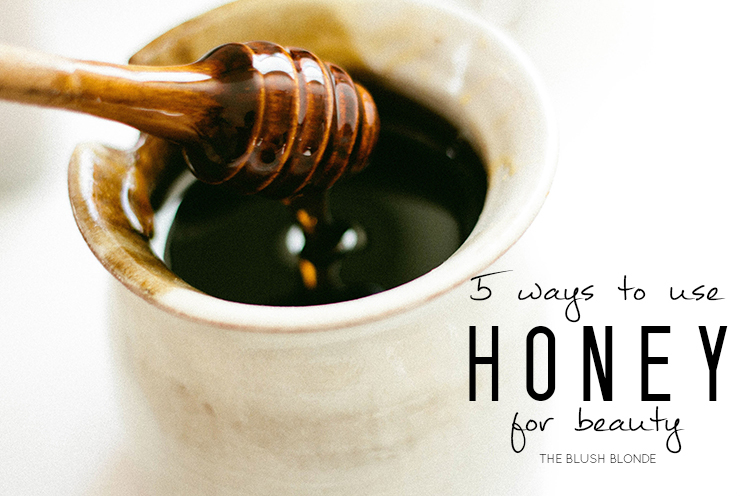 Below I have for you five ways to incorporate honey into your beauty routine. Honey is super moisturizing and will help bring even the driest strands back to life. 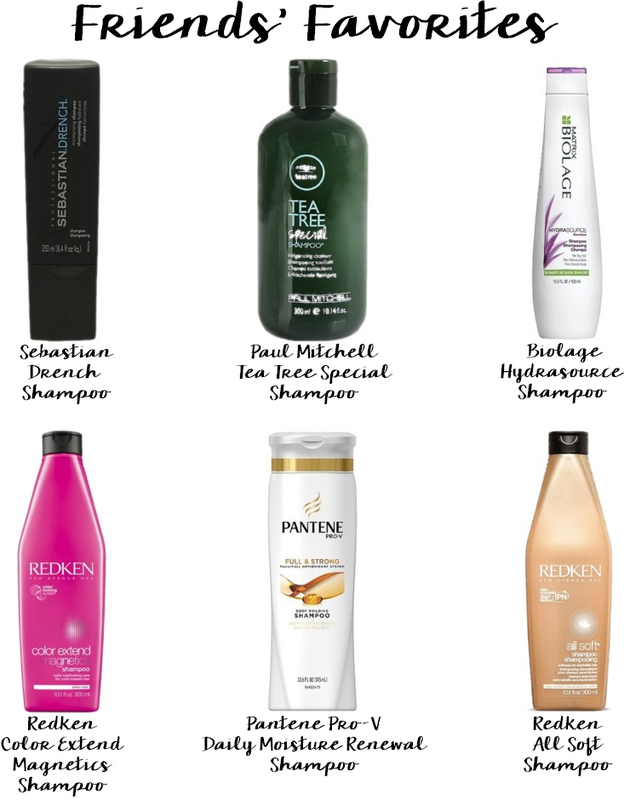 Additionally the softening effect that honey has will make your hair soft as silk. I have been using honey mixtures to moisturize my hair for years now and I swear that it helps to keep my hair thick, healthy, and shiny. You can find my favorite Honey Hair Mask recipe here. I've talked about my love of using honey to wash my face on here a few times before, and you can check it out here and here. As mentioned above honey is moisturizing so it won't dry out your skin and its antibacterial properties will help with any acne or blemishes. To wash your face with honey take a generous dollop in your hand, add a few drops of warm water and massage all over your face in circular motions, rinse off with lukewarm water, and pat skin dry. For the same reasons that honey makes a good cleanser (hydrating and antibacterial) it makes a good face mask. Additionally honey's anti-inflammatory properties help to soothe skin and the antioxidants it contains helps to reduce free radicals and prevent aging. I find using honey as a face mask to be one of my favorite and most relaxing beauty rituals, not to mention it's also super simple and always makes my skin glow. For the mask take a very generous dollop in your hand, add a few drops of warm water and apply to your face, leave on for a minimum of fifteen minutes and up to an hour (the longer it's on the better the results), rinse with lukewarm water, and pat skin dry. You can use honey to spot treat any pimples that pop up and it will help to heal them quickly. Honey will clear out the bacteria in the pimple without over drying like some harsh store bought spot treatments would. Before bed, after cleansing your face, apply a small amount of honey to any blemishes, wash off in the morning. Honey is an important ingredient in homemade body scrubs as it will help to cleanse your skin during the scrub. If you want silky smooth skin I definitely recommend adding this to your next batch of scrub. To make a scrub mix 1 cup honey, 2 tbsp. olive oil, 2 tbsp. coconut oil, and 2 tbsp. honey, scrub skin before showering, and rinse off the mixture. Do you use honey in your beauty routine? If so how do you use it? Today I'm linking up with #HowIFall, Hello Monday, Mingle Monday, Weekending, and MIMM. Oh my gosh does this dessert from Pinch of Yum not look and sound like the most delicious thing ever?! 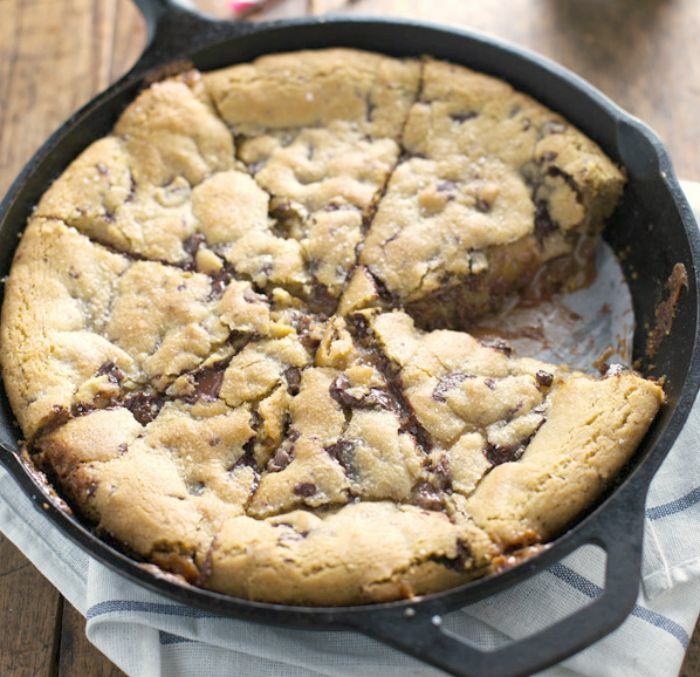 I'm a major cookie girl so this is like my dream come true, a salty-sweet, ooey-gooey cookie from the heavens. I think my favorite part is though that I can use my recipe to make the caramel from scratch, I cannot wait to make this yummy treat! I've never really been much of a fan of unnatural hair colors (other than temporarily), but lately I have been obsessed with pastel pink hair. There's something about it I find to be so fun and pretty. 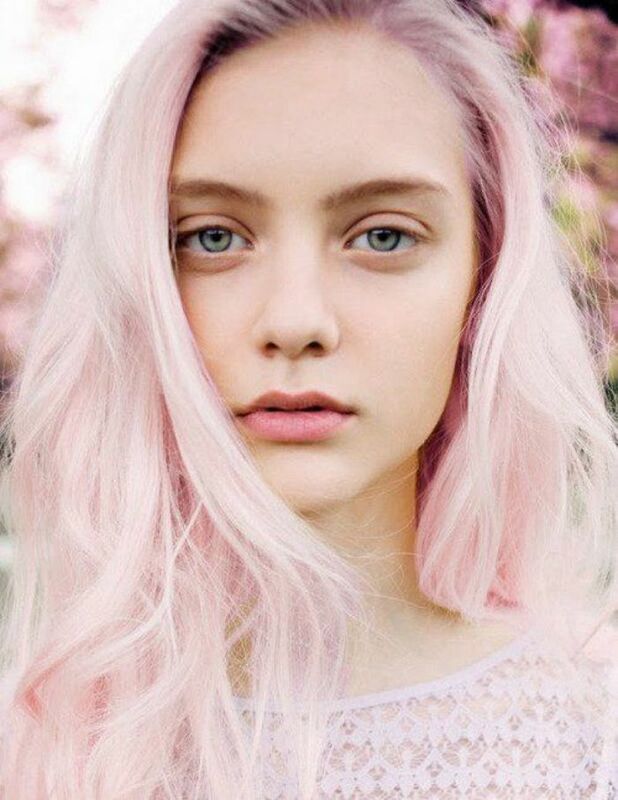 I wish I had the guts to dye my whole head pale pink, but I will most likely be adding some temporary pink highlights with Garnier Color Styler instead. Selena looks gorgeous in this outfit that's perfect for fall. The billowy silhouettes she's rocking are a big trend for the upcoming season and look super chic. I especially love her sweater, it's my favorite style and I can see myself wearing it all fall and winter. Favorite Designs DesignLoveFest "Dress Your Tech"
Bri Emery makes the most beautiful designs and I love all the fun desktop backgrounds that she makes available to download for free. Currently I have the image below as my laptop background, but have already seen some other ones I want to use next! If you're looking for a fun way to update your computer you have to check out the countless options offered on her site. Today I'm linking up with Casual Friday, Oh Hey Friday!, Fab Favorites, Friday Favorites, The Pick, Five on Friday, Friday Favorites, and Friday Favorites. With yesterday being the first day of fall it means sweater weather is officially around the corner! Sadly it's still a little too warm out to wear sweaters just yet, but a girl can dream of chillier days right?! For fall I love big slouchy sweaters that are cozy, but look chic when paired with a skinny pant or leggings and riding boots or flats. It's such a simple look and easy to pull together, even on those cold mornings when you're struggling to get ready. While I favor neutral tones and darker hues for fall, it is fun to throw in a little color like the pink or lavender sweaters above. 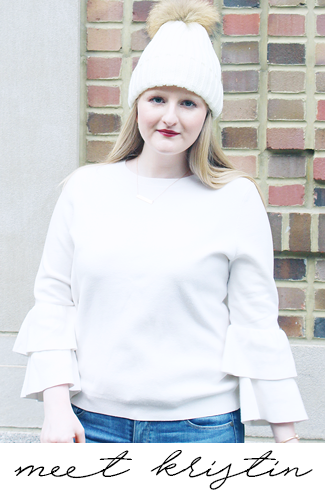 Since we're still transitioning seasons lightweight sweaters are best for now, but in a few weeks we can definitely start rocking those dreamy chunky knits. I can't wait to pull out some of my favorite sweaters and to purchase some new ones so I'll be set all fall and winter long. 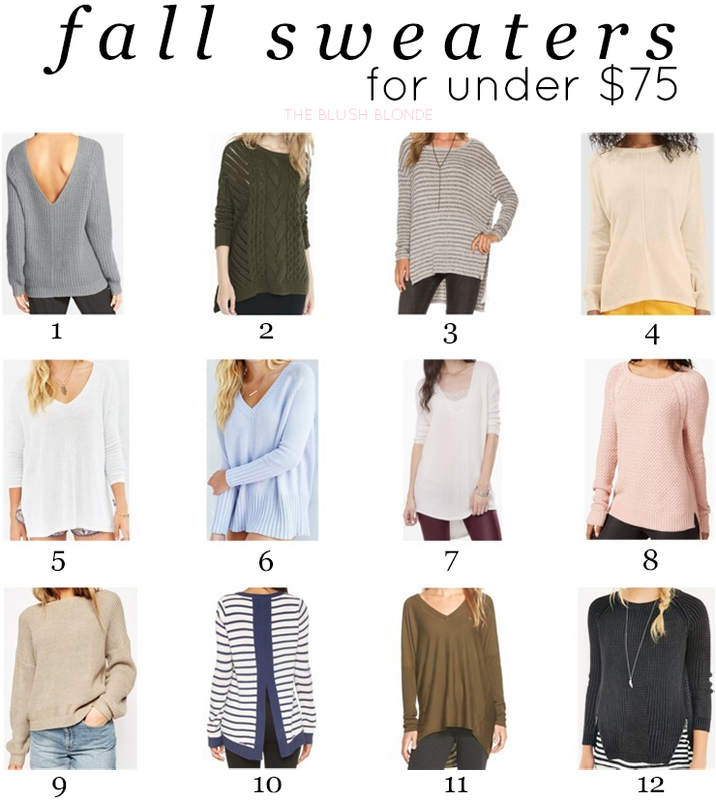 Here I have for you some of my favorite sweaters for under $75! What is your favorite fall fashion? Today I'm linking up with Thursday Fashion Files, What I Wore to Work, and Throwback Thursday. Sadly I cannot have candles in my apartment at school, but I love having something to make my place smell great, which is where fragrance plugs come in. Over the weekend I went to Bath & Body Works to smell candles with my Mom (for home) and landed up getting a fragrance plug and the Caramel Pumpkin Swirl scent bulb. To say I'm in love is an understatement, it's amazing how this little plug fills an entire room with fragrance and makes my whole apartment smell delicious. This powder is makeup magic! I've been using it to set concealer under my eyes (which it does really well) for some time now, but recently I've started using it all over my face and am loving it for that too. I use it on days when I have on a 'full face' of makeup and lightly dust it over my face as my last step. I do use a heavier hand on my cheeks then the rest of my face to set my blush because it helps to prevent the blush from fading throughout the day. Ok so I have talked about white Converse sneakers a lot on here so it should be no surprise that it made it onto my must have list. I got these over the summer and have been wearing them on repeat ever since. They go with just about anything and add a little bit of a cool factor to your outfit. They look super cute with jeans and leggings, and I will be wearing them all fall long! I get sick really easily so I have to be super careful when it comes to germs and always have some hand sanitizer on me. In my opinion Bath & Body Works makes the best hand sanitizers, they kill germs without drying out your hands and leave a yummy scent behind. When I picked up my fragrance plug the other day I picked up a few hand sanitizers in the Pumpkin Cupcake because I couldn't resist the lovely scent. I stole this perfume from my Mom over the summer and have been wearing it almost every day since. It smells so good and a few spritzes last all day long. It also doesn't bother my easily irritated allergies, so that's huge for me. I had been dying to try micellar water for some time and I picked this up right before I left for school. I have worked it into my everyday routine and love the results. I use it in the morning when I wake up in place of my facial cleanser, I've found that it cleans skin really well and still keeps it moisturized. I really love this product and can't say enough good things about it, I definitely recommend giving it a try! This is my go to bag during the school year because it fits a ton, including my iPad and planner, making it perfect to take to class. I also like that I can use it as my purse when I'm done with classes and don't have to keep switching bags. This tote is super versatile and a perfect bag for school, work, travel, and more. Who doesn't love the September Issues of fashion magazines?! It's the new year for fashion meaning these are the biggest and best issues of the year. I always look forward to picking up a few different September Issues and reading them to find out the latest trends, what's in, and more. What are your must haves at the moment? Today I'm linking up with WIWW, WIWW, and Mid Week Muse. A while back I saw the post "What To Do With $20 At The Drugstore" on Into The Gloss and thought it was a lot of fun. I loved it so much I decided to do a post like it with my own spin, I'm even thinking of making it into a series with different stores and price points. I thought it was perfect to start with Ulta since it's one of my favorite places to go for a large selection of well priced beauty products. I honestly could get lost in that store for hours, but definitely have some moderately priced favorites you can pick up all for under $25! I love Montagne Jeunesse's convenient (and super cheap!) mask packs. While I haven't tried this exact one I've never been disappointed in their masks and am a huge fan of using honey for beauty, so this is definitely one I will be picking up the next time I head to Ulta. I can usually get two uses out of one packet and they always leave my skin glowing. If you're looking for an inexpensive pick me up for your skin Montagne Jeunesse's mask packs are something you have to try. This is my favorite mascara ever. I love how large the brush is and it's plastic applicator helps to comb the mascara through your lashes, ensuring they stay clump free. The formula also helps to add volume and never flakes. For me this is a makeup must have. This scrub made with organic shea butter works to buff and moisturize your skin until it's silky smooth. The sugar deeply cleans your skin and removes any traces of dead skin from your body. In addition to shea butter it is also filled with shea nut oil, natural extracts, and Vitamin C to make sure your skin is looking its best. On top of all of this the scrub smells so yummy and the travel size lasts for quite a long time. I started using this this summer when I picked it up at Ulta and have been hooked ever since. It works its magic to sop up oil from even the greasiest of strands and leaves your hair looking like it was just washed. It's really amazing how clean your hair will feel after using this and I love that it leaves your hair with a yummy coconut scent. With all of these goodies in your bag your total comes to only $23.96, leaving you with a little extra for tax. 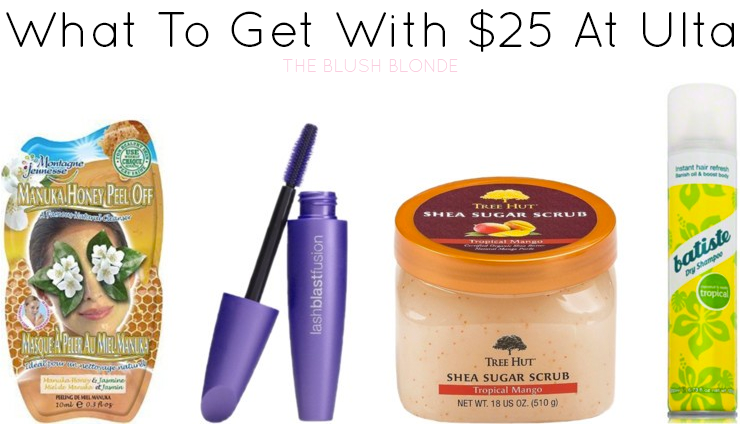 In addition to spending less then $25, you'll get clear skin, lush lashes, a smooth body, and refreshed hair, what more could a girl want? 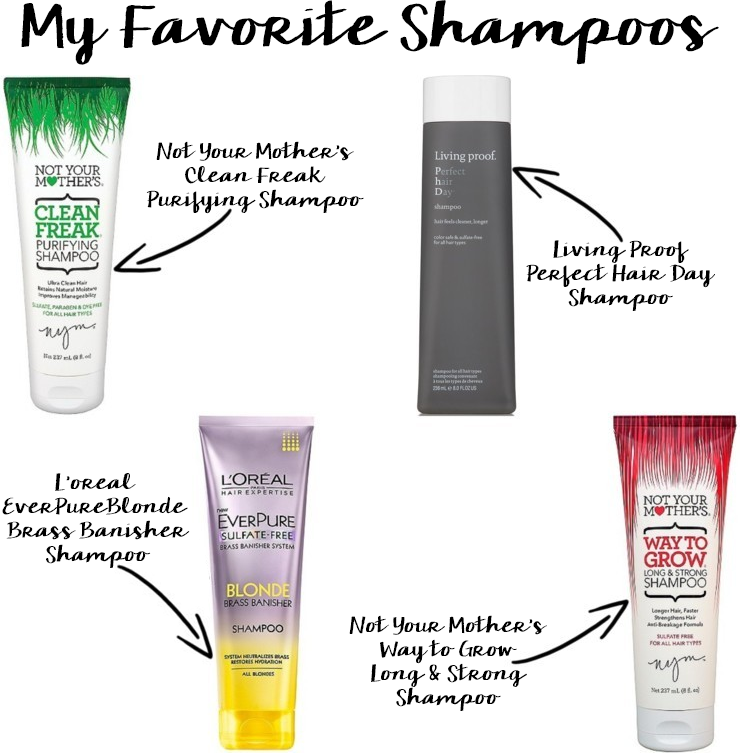 What are your favorite products from Ulta?